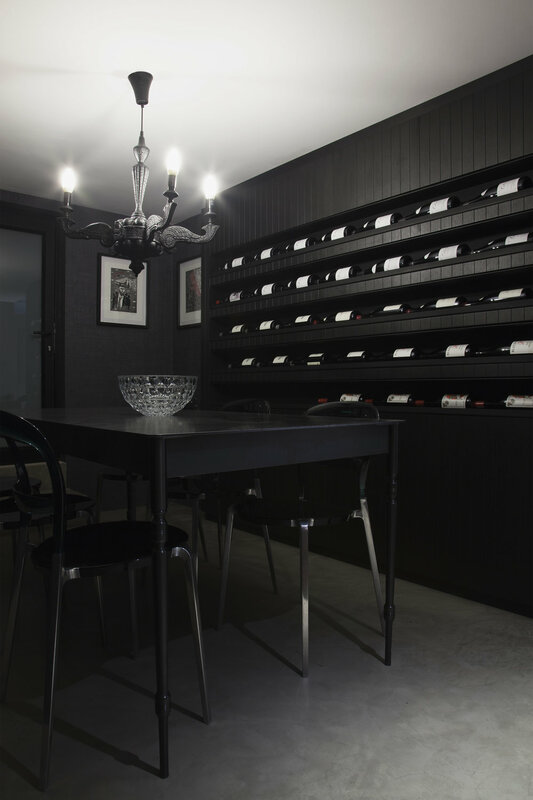 The owners of this home in Parkwood approached us to come up with two practical design solutions for their home – to create a wine storage facility and to design a study node. The former presented the challenge of space limitations due to the footprint of the area to be converted. 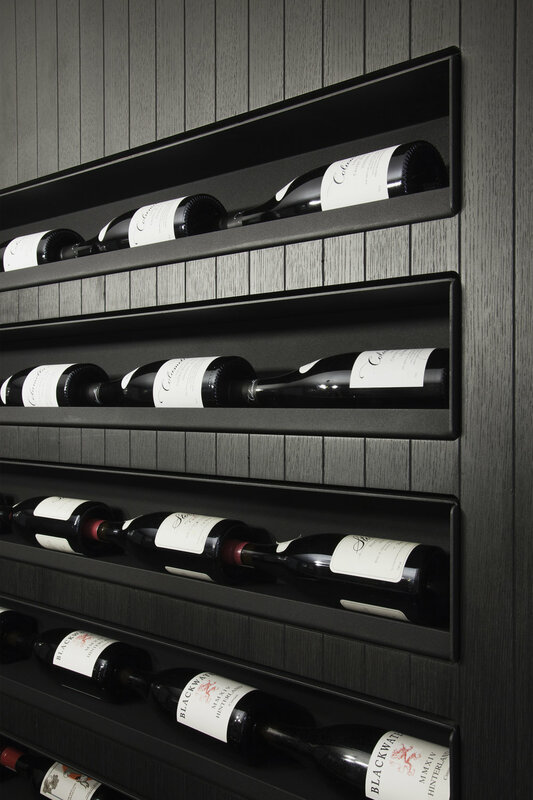 We solved this by designing a wall-facility clad in black-oiled oak with steel boxes set within the cladding. 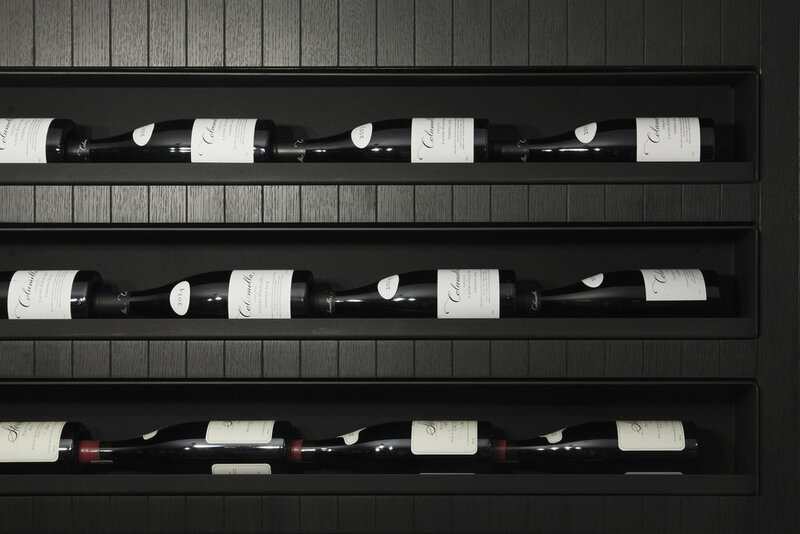 Each box has a lip to hold the wine horizontally, lying flush against the unit. 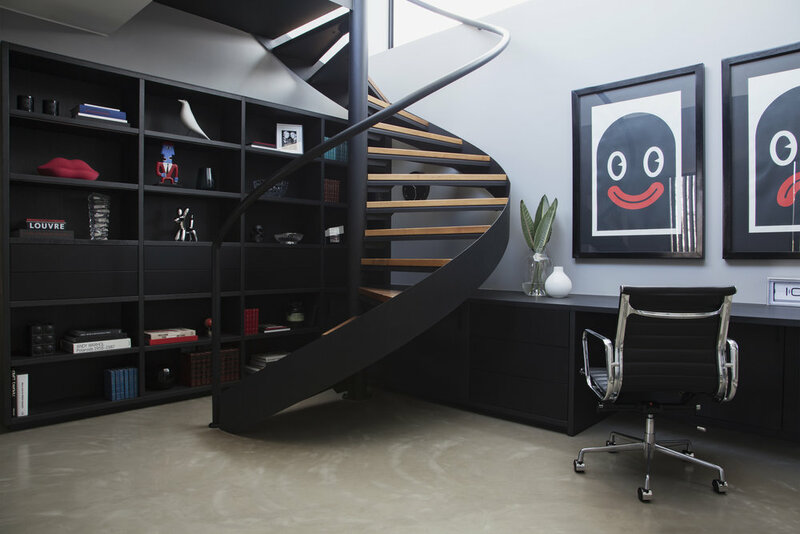 The study node was to be orientated within the landing area that connects the bedrooms, so we designed the desk and bookshelf in a way that complimented the flow of the space, not hindered it.